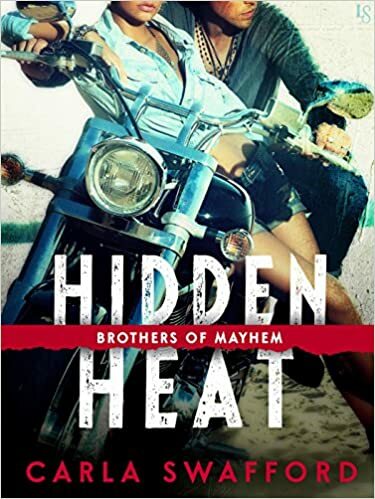 Sizzling with passion and suspense, perfect for fans of Joanna Wylde and Julie Ann Walker, the Brothers of Mayhem series revs up as a headstrong beauty faces off against an outlaw motorcycle club—and falls for the bad boy she never saw coming. Cassidy Ryder refuses to be intimidated by anyone, even the hell-raising, hard-drinking Brothers of Mayhem. The daughter of their former president, she’s not above smashing a few heads to keep her teenage brother safe. But when Cassidy’s big mouth gets her in trouble, the only thing that saves her is some quick thinking from the Brothers’ bartender. He’s commanding and strong, and as smooth as the whiskey he pours: the ultimate temptation for a girl who swore she’d never be a biker’s plaything. But Thorn Savalas is no ordinary biker. He’s a cop, and he’s worked too hard earning the Brothers’ trust to blow his cover over a female—even one who rocks a pair of jeans like Cassidy. The only way to protect her is by claiming she’s his old lady. Trouble is, Thorn can’t just pretend. He wants Cassidy, and every scorching touch tells him she feels the same. But acting on their hottest fantasies could leave them both exposed . . . even if nothing else has ever felt so real.